One of the cutest cars for teenage girls is certainly the Toyota Yaris. 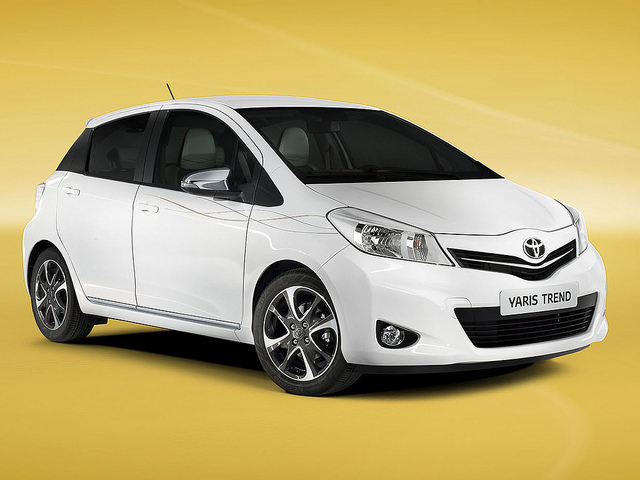 Besides being a fun car to drive, the Yaris features a quirky design and is very affordable when buying the base model. It is quite OK when it comes to to consumption, with a 30 MPG (city) and 36 MPG (highway) overall rating. When buying the new car, you can choose between a three or five-door hatchback, and you can also choose between a four-speed automatic or a five-speed manual transmission. The stock engine is a 1.5 liter V-4 with 106 horsepower, and the top speed of 108 MPH. Parents will be happy to know that 0 to 60 MPH time is 10.2 seconds, so the teen will not be tempted to try to drive too aggressively.